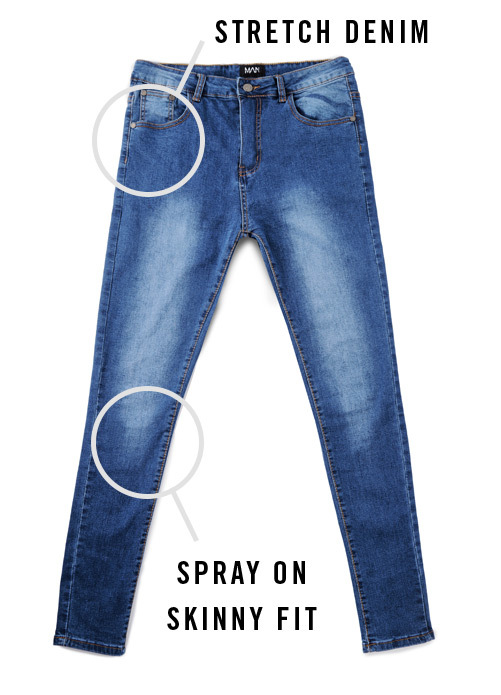 Men’s spray on skinny jeans aren’t going away any time soon. 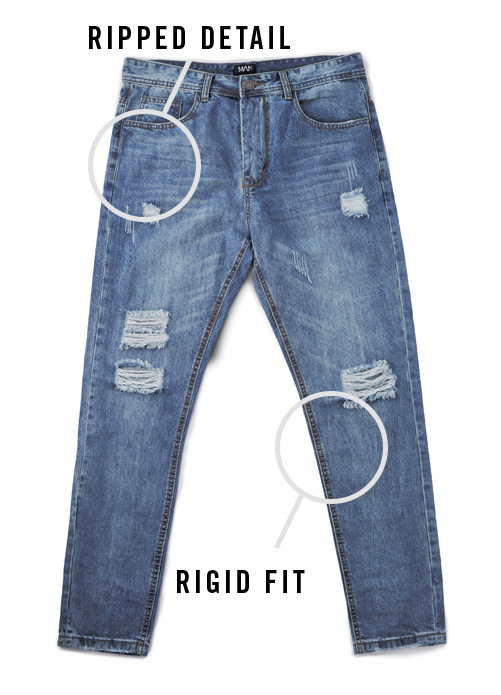 Their skin tight fit means they won’t look too baggy, plus they go hand-in-hand with a men’s oversized t-shirt or men’s oversized hoodie. A firm favourite. ** PLEASE NOTE THAT THE MEASUREMENTS PROVIDED ARE A GUIDELINE FOR THE PROPORTIONS OF THE STYLE PICTURED, NOT THE BODY. WE HAVE A FULL SIZE GUIDE AVAILABLE TO FIND THE BEST SIZE FOR YOU ON OUR WEBSITE. 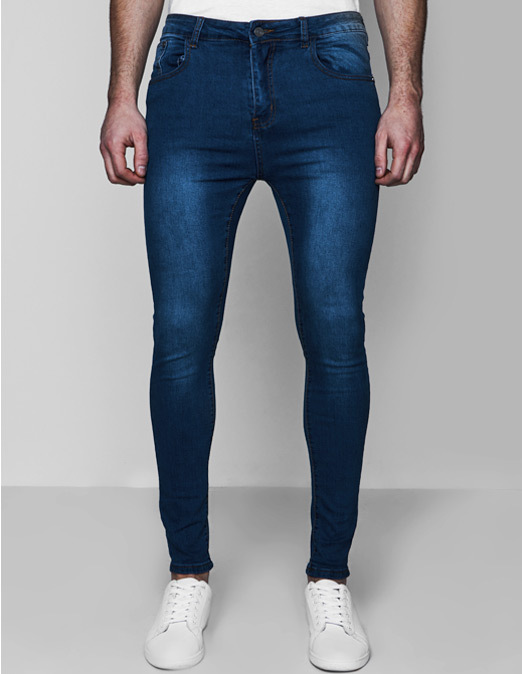 Men’s super skinny jeans are by far the most popular style of the season. Team your men’s super skinny jeans with a pair of fresh white men’s canvas plimsolls or a men’s muscle fit t-shirt for an on-trend, timeless look. 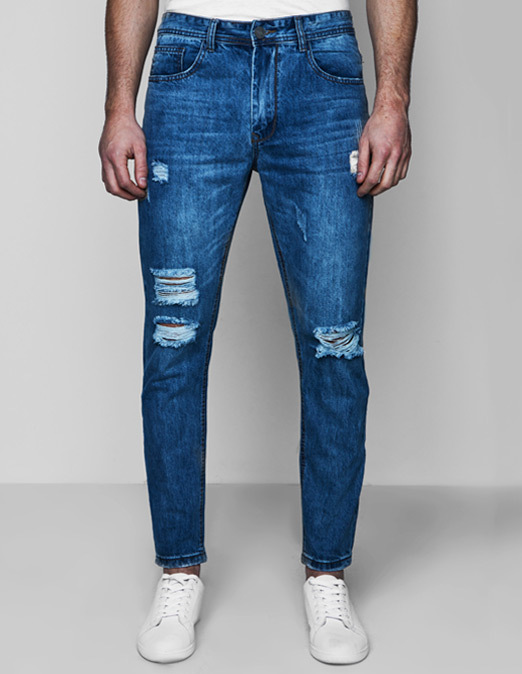 Men’s stretch skinny denim jeans are a style staple. 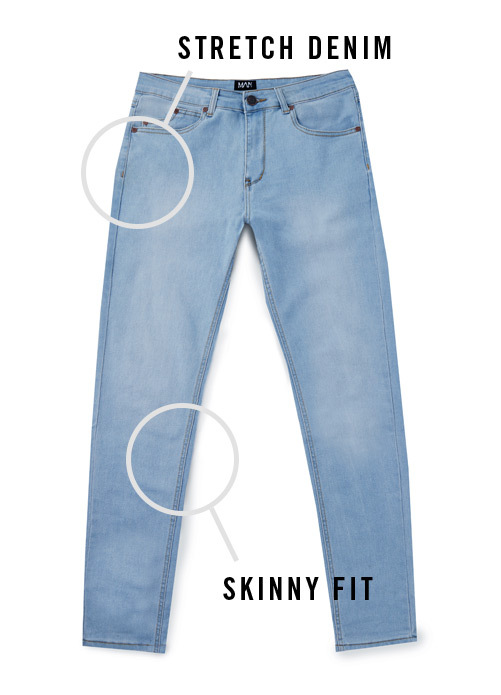 A skinny fit means you stay on-trend by teaming them with a basic men’s crew neck t-shirt and men’s casual trainers. 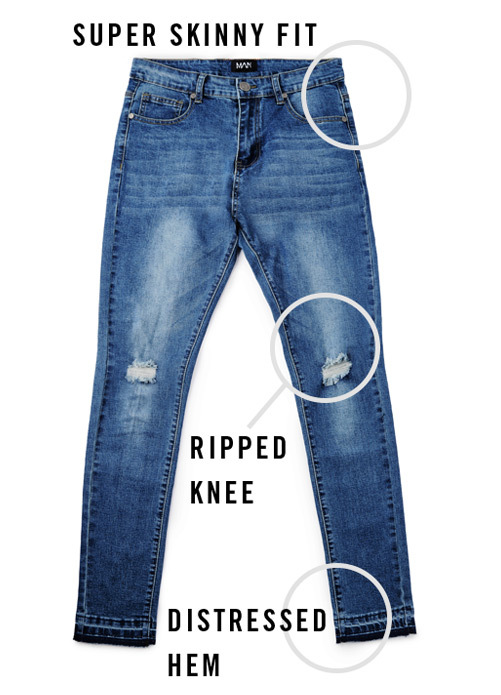 Stretch skinny denim jeans are there to help you tackle any challenge. 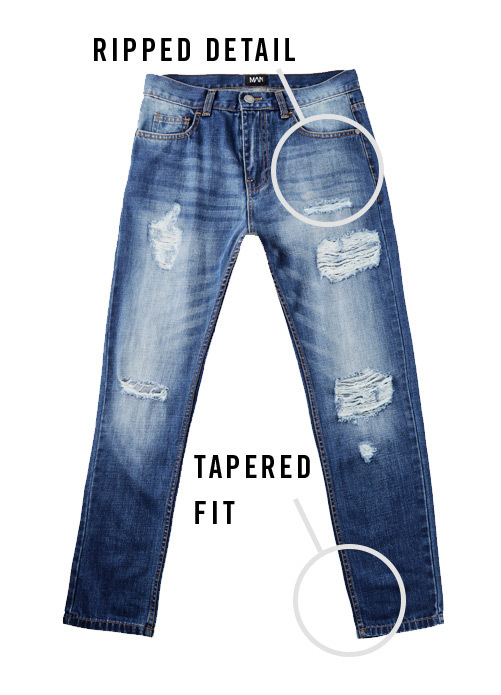 Men’s tapered fit jeans are both easy to wear and functional. 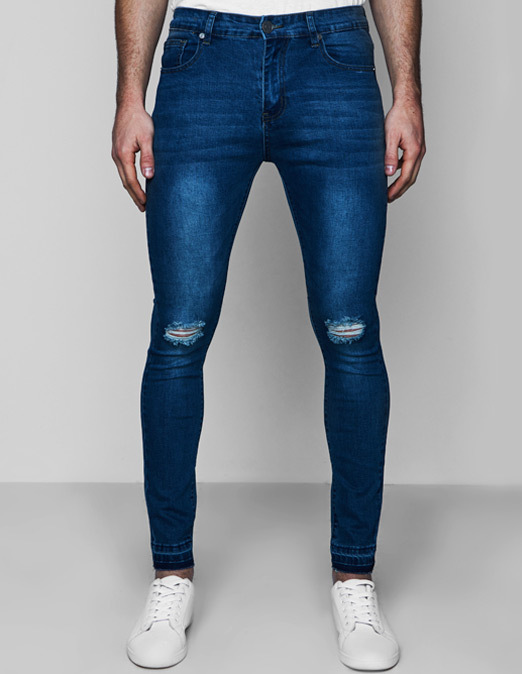 Their tapered ankle fit means they’re smaller at the bottom, perfect if you want to achieve that skinny look when wearing men’s boots in winter, or men’s canvas plimsolls in summer. Nice. 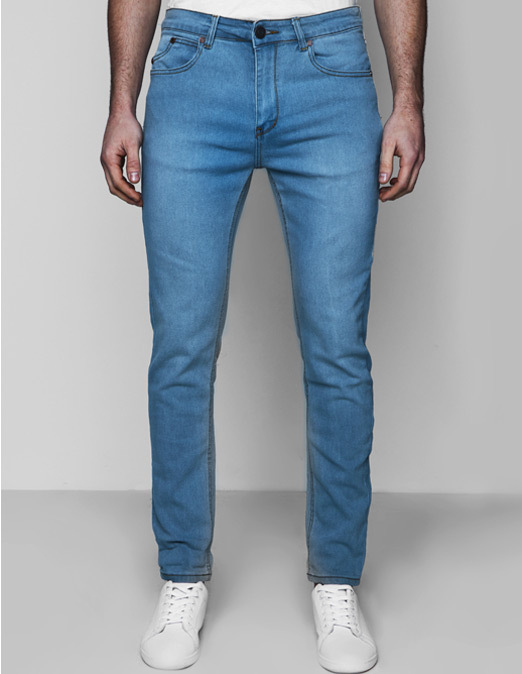 Men’s slim fit jeans are an easy step away from men’s regular fit jeans if you don’t want to go too skinny, too soon. 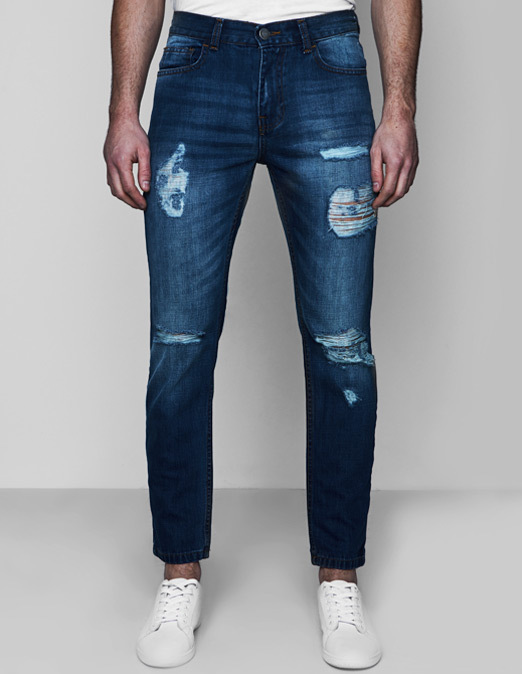 Perfect for almost any look, team your men’s slim fit jeans with a men’s denim jacket for a classic outfit.